Is diabetes really a decease? According ancient Ayurveda wisdom it is not so. Ayurveda is a ancient Indian Life Scince dates back to 5000 years and Sri Lanka it is about 2500 years old traditional health practice. The word Ayurveda derived from two words “Ayus” which means life and “Veda” means knowledge. http://tinyurl.com/hht8akg “Hitahitam sukham dukhamayustasya hitahitam, Manam ch tachch yatroktamayurveda sa uchyata” According to Dr. Anil Meta et al., (1999) in this shloka (rhym) as in Charaka Samhitha, Ayurveda is the knowledge of life that gives indication for a wholesome life. The object of Ayurveda is to assist nature and not to disturb the natural process of living or healing. All the therapeutic measures used for cures support the natural process. Diabetes is a condition which created by wrong life style and bad food habits. this is a result of imbalance of bodily forces or Dhosas according to Ayurveda which are called Waa, Pith and Sem. So that once you create the harmony within the body of these forces you come to normal. All the therapeutic measures used for cures support the natural process. Therefore, all supplementary health products are based these fundamentals of Ayurveda. Serendib Golden Slim Tea is unique blend of Ceylon black tea and Green Tea processed in an ancient Chinese method, with natural slimming agent Garcenia (proven by modern day scientific research). In addition, top quality Ceylon spices including world renowned Ceylon Cinnamon is added to enhance the effectiveness of this unique blend. 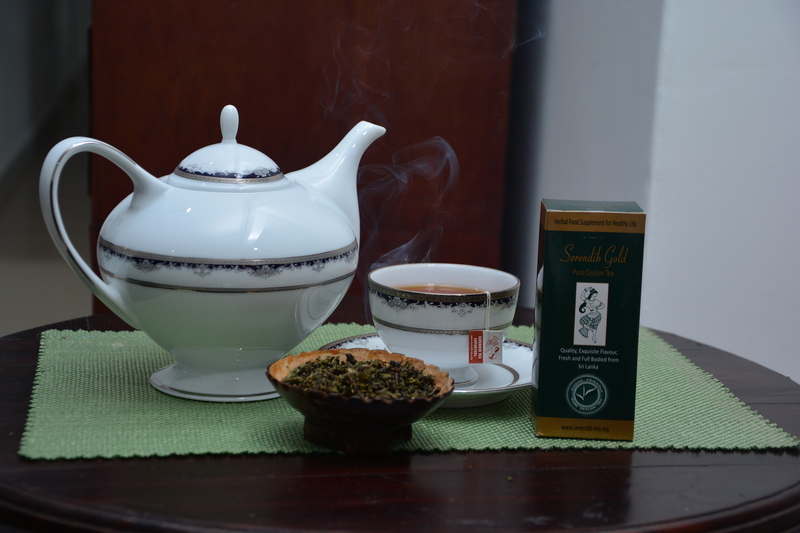 The high Quality, Freshness and Authenticity is the wholemark of Serendib Golden slim Tea. Taken twice daily (morning and evening after meal). Serendib slim Tea nourishes your insides with our value herbs and natural way to detox and rejuvenate your body. We have re-branded all our products to save our valuable customers from patent violations and to counter fight fake products in the market. We inform all our valuable customers only to buy our products only directly from us. If you come a cross any other Serendib product from any other organisation or individual please don’t buy them, since they are fake. Please help us to counter fight intellectual property violations in a more positive manner. This is adhering to intellectual property department, Sri Lanka Tea board, Sri Lanka custom and Ayurveda department of Sri Lanka. By Serendib Herbal Tea Exports in Ceylon Tea News, Christmas, Golden tea, How to Buy Serendib Tea, Serendib Diabi Tea, Serendib Herbal Tea Exports on October 13, 2014 .